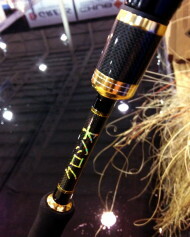 Simon Kidd from Snowbee was kind enough to talk me through their attractive new range of Kuroshio lures rods. The Japanese word Kuroshio, translates as 'black tide', the name given to the current that flows from the east coast of Taiwan and down past the coast of Japan, bringing with it the first run of baitfish each year - hotly pursued by larger predatory fish and eagerly awaited by Japanese lure anglers. There are a number of reasons why this rod might be hotly awaited also. Even with the stand-out finish on these Kuroshio lure rods, the fittings attract a lot of attention - namely American Tackle Company's Microwave Guides. Having tested these revolutionary guides against conventional rod rings, Snowbee are convinced they make a positive difference to spinning rod performance - both in terms of longer and less problematic casting. It's not just Snowbee's opinion. At the 2013 Efttex tackle show the Microwave guides won "Best New Fishing Innovation", while the first prototypes of the Kuroshio rods won Snowbee Runner-Up in the hotly contested "Best New Rod" category. Subsequently, on the other side of the pond, Microwave Guides won "Best New Fishing Accessory" at ICAST 2013. With that kind of silverware, these guides are worth considering. From my perspective, I was pleased to see 2 LRF rods in the 7-strong range. A 7'2 0.5-7g rod and a 7'10 2-12g. Interestingly, all rods are 4-piece - which I didn't notice until after I'd had a few casts in the casting pool - a good sign that there is no adverse effect on action. This was apparently an active decision by Snowbee as over the past 2 years, the 3 top selling models of their existing spinning rods have all been 4-piece. Perhaps something to do with Snowbee's affinity with travel and fly fishermen, but interesting stats all the same. There's definitely a market for LRF travel rods. LRF abroad is mega fun and more than a pleasant distraction from burning on a sun lounger! I would definitely consider these rods when I come to replace my aging Sonik SK4. As I said, the finish is great. The handle and reel seat configuration is well thought out and attractive, taking a lead from Japanese design. The range is finished in black and gold livery. 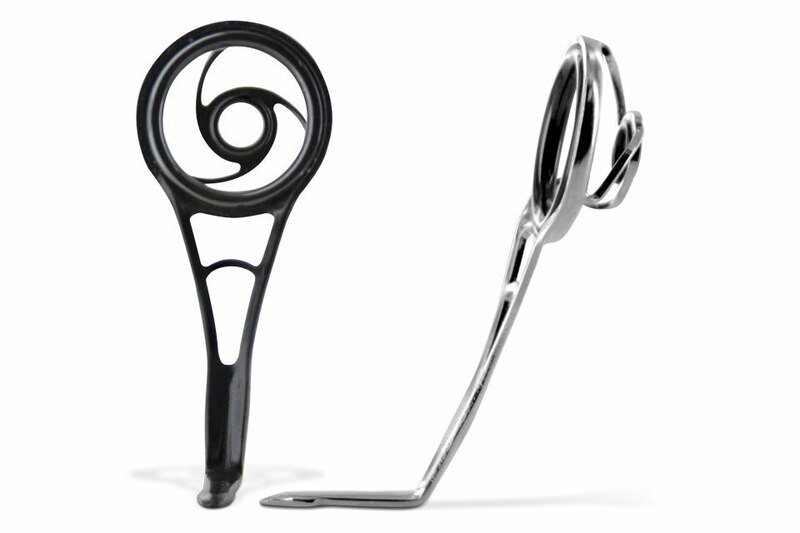 The Microwave guides being used are the stainless steel variants, finished in black chrome to match the look of the rod. All rods come with a quality rod bag and Cordura rod tube for added protection when travelling. The one I was playing with was tubular. I’ll try and find out if both LRF rods are such or whether there’s a solid tip. Thanks for the question. No items matching the keyword phrase "snowbee kuroshio rod lrf" were found. This could be due to the keyword phrase used, or could mean your server is unable to communicate with Ebays RSS2 Server.